E-books and e-journals are great when you’re researching off-campus, or can’t come into the Library. How do you use LibrarySearch to find e-books and e-journals? Search for a book title, or subject. Click on the Books, Music and Films tab to search. On the left hand side, under Show Only, click Full Text Online. If there are e-books available, they will now be displayed. Click View Online to read the e-book. Search for an article title, or subject. On the left hand side, under Show Only, click Full Text Online. To narrow down to scholarly articles only, click Peer-reviewed Journals on the left hand side under Show Only. To read the article, click View Online and follow the link to the article. 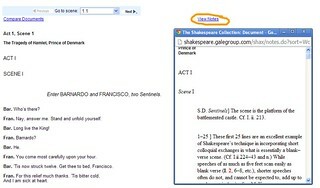 For best results, use CampusAnywhere [http://www.rhul.ac.uk/it/faq/itfaqs/vpn/faqwebvpn.aspx] when you are using LibrarySearch or any Library resources off-campus. How long can you borrow books for? If you want to borrow books over the holidays, our loan periods will be changing and – good news! – you can borrow books for longer! Just remember to bring them back, and you can always check your account online while we’re away for Christmas.